Just last month Rod Brooks chided me that robotic vacuum cleaners were already mainstream in response to what I had written: that they had just recently moved from niche to mainstream partly because big consumer product companies were entering the market. Dyson and Samsung had just recently announced product launches and LG and Ecovacs were already selling. 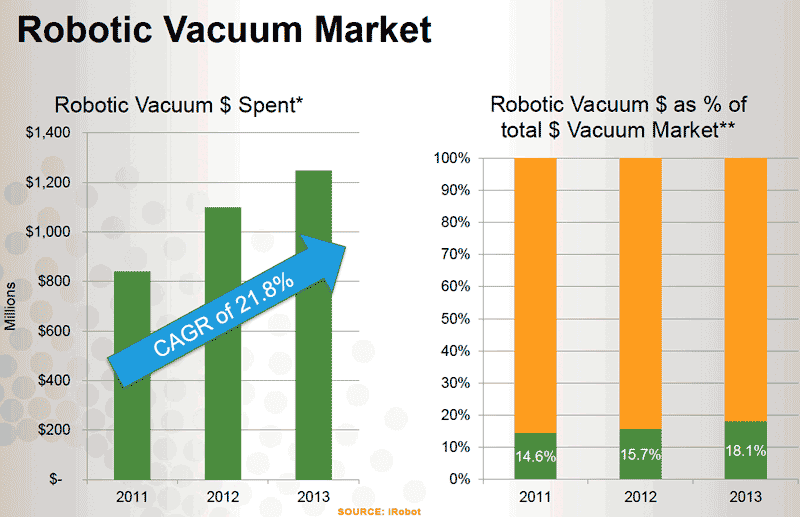 Then at RoboBusiness, Colin Angle said in a keynote speech that iRobot had sold 12 million Roombas since they began selling them, that robotic vacuums represented 18% of the global vacuum market, and the market was growing at a compounded annual growth rate of 21.8%. Further, he said that iRobot captures 83% of the North American market, 62% of the European Middle East market and 67% of the Asian Pacific marketplace. Now comes news that on a single day – Singles Day, a made-up holiday for the Chinese singles and youth market – Ecovacs sold $24.8 million worth of robotic products, mostly their robotic vacuum cleaners. Ecovacs Deebot cleaners sell for between $200 and $500 on Alibaba; higher on Amazon. Dividing $22 million (presuming that 88% of the day’s total sales were vacuums) by $300 per unit equals 73,300 Ecovacs units sold on a single day! That is, truly, mainstream. Alibaba has trademarked the Chinese double 11 symbol in their effort to make Singles’ Day (11/11, November 11th) an international online shopping event. According to an Ecovacs press release, 85% of Singles Day sales were sold at their online (Alibaba) store. Why is Japan the first to get Dyson’s new 360 Eye? 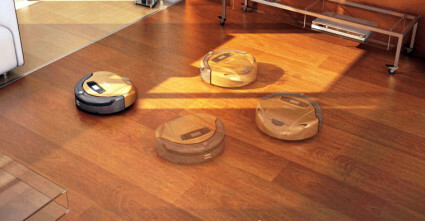 Housework 2.0: The battle of the robot vacuum cleaners begins! Has Dyson’s robotic dream become a reality?